Celeste in Blood Ruby Packs! 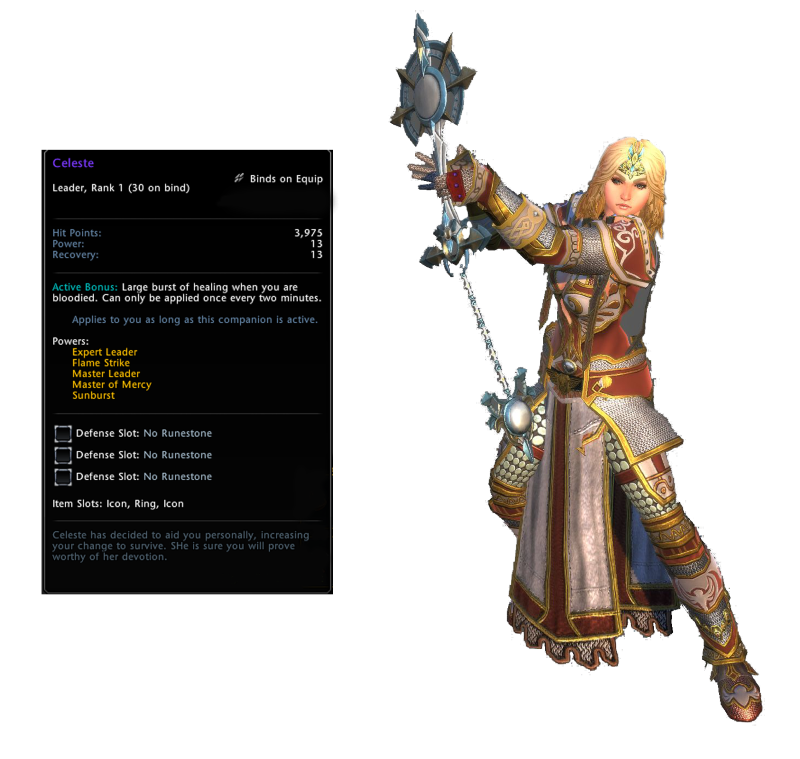 Celeste, one of the heroes of Neverwinter, is available as a companion! From now until September 5, every time you open a Blood Ruby Pack, you have a chance of receiving this companion! Celeste can’t wait until she fights alongside you and aids you when necessary. As one of Neverwinter’s premiere clerics, she won’t let you down!